Home bar ideas that will make you wonder why you haven’t thought of it earlier? Count us in! Setting up a home bar is not an easy thing to do, especially one that stands out from the rest of the decor and that showcases personality. Adding some color will always help so today we’ll give you some colorful home bar ideas that will completely change the way you view a home bar. To start off, a deep navy cabinetry and star-patterned backsplash in this kitchen bar inspired by the night sky. A perfect way to have enough storage on your home bar while still looking modern and beautiful. With tones of golden polished brass, glass and showcasing the different drinks on display, it’s a home bar we would all love to have in our own homes. A leaf-printed wallcovering and a lacquered lilac bar cabinet that certainly pops in any room? We can’t say ‘yes’ enough! Cute and small, perfect for a living room corner if you don’t have a lot of space in your kitchen, this is certainly a piece that will pop and stand out from the rest, giving uniqueness to your overall decor. Be bold and match a white tile backsplash with a cranberry background hue that will be sure to stand out from your home decor. 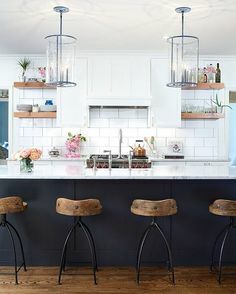 This space can easily be incorporated in your kitchen. A dark marble countertop and dark wood cabinets, and you’re good to go! It’s classy, bold and simply stunning! How about going for white marble paired with a popping blue and golden hues? Perfect! A mirror backsplash to add space to the room, and all you need is to get the bar accessories, start mixing the drinks and invite your friends and family to enjoy your new modern home bar. For a more classy, elegant and subtle look, this white bar is the perfect choice. Mix some pinks, get the right glass bar accessories and you’ll surprise anyone who visits. In fact, it will become your new favorite living room corner, a bar that will call out to you after a long day of work or during a party with your closest friends. The perfect living room corner. This home bar takes an empty and dull corner and turns it into something more elevated that complements the rest of the furniture perfectly. Next to a piece of art, it really stands out in the right way. A dark wood touch with light marble and glass blacksplash, with some additional glass shelves for storage. Nothing better than that! 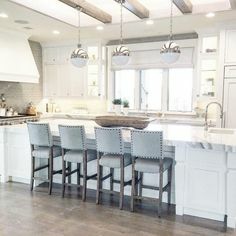 Having half of a room just for the bar is not something a lot of people can afford but it’s definitely a stunning idea. 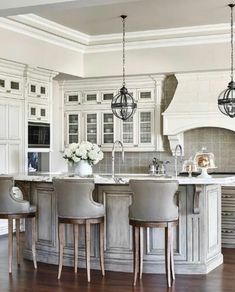 A cabinetry of a soft light wooden color and a marble bar table with leather seat bar chairs to bring a clean and fresh look to your home decor. 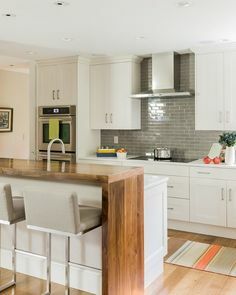 Even just a simple wooden cabinetry with a hidden home bar is a good choice if you wanna save some space. It’s light and it brings enough color to your home decor to make a difference but not bold enough to make you rethink your decision. It’s just the right amount of color, nature elements and simple but beautiful design. SEE ALSO: Small Galley Kitchen Ideas And Tips That Will Make Your Life Easier!